2015 WINTER NEWSLETTER - Fanning Harper Martinson Brandt & Kutchin, P.C. - Fanning Harper Martinson Brandt & Kutchin, P.C. Fanning Harper Martinson Brandt & Kutchin, P.C. is pleased to provide you with our Winter 2015 Newsletter and Legal Update. Below you will find information regarding successes and activities of our attorneys. Please click the hyperlinks for updates regarding Local Government, Constitutional and Civil Rights Law, Products Liability, School Law, Automobile and Commercial Trucking Litigation, Premises Liability, Land Use, Zoning, and Regulatory Taking, Insurance Law, Homeowners Association Law, and Special Education. Please call us with your questions or comments. THOMAS P. BRANDT and JOSHUA SKINNER obtained a final judgment in favor of the individual defendants in the long-running Candy Cane case filed against Plano ISD and various Plano ISD educators and administrators. This brings the Candy Cane case to a close for the many educators and administrators who were sued by the parents of various students. On December 11, 2014, THOMAS P. BRANDT, JOHN D. HUSTED, and STEPHEN D. HENNINGER obtained an appellate victory for a local municipality’s employee retirement fund and its board. The Second Court of Appeals in Ft. Worth affirmed the ruling of the 141st District Court of Tarrant County, finding that the trial court had properly granted the employee retirement fund and board’s plea to the jurisdiction, dismissing all claims against them, with prejudice. THOMAS P. BRANDT and JOHN D. HUSTED obtained a complete appellate victory in the Fifth Circuit Court of Appeals on behalf of an Austin-area school district in a suit brought by a former school counselor of the school district alleging race discrimination and retaliation claims. In the District Court, FHMBK succeeded in having the case dismissed and obtaining monetary sanctions due to the counselor’s dilatory tactics and conduct during the discovery process. On appeal, FHMBK successfully argued that Appellant’s appeal should be dismissed for failing to make any cognizable legal argument. THOMAS P. BRANDT, JOSHUA SKINNER and LAURA O’LEARY obtained a victory for a Tarrant County school district in a disability discrimination suit brought in federal court by the parents of a disabled student. FHMBK moved to dismiss the case after discovering that the plaintiffs had failed to disclose information showing that the parents had lost the authority to bring suit on behalf of the student because a guardian of the estate had been previously appointed and because the parents were not responsible for the alleged medical costs they sought in the case. Incredibly, FHMBK obtained a final judgment in favor of client after a jury had returned a $1 million verdict against our client. The same district judge who presided over the trial refused to enter a judgment on the verdict and, instead issued a take nothing judgment in favor of our client. The plaintiffs have filed a notice of appeal. JOHN F. ROEHM III and THOMAS P. BRANDT obtained a victory for a North Texas county, District Attorney and Assistant District Attorney in a suit filed in federal court in Ohio. Plaintiff asserted that the actions of these defendants in Texas violated his constitutional rights when he was stopped in Ohio for operating a stolen vehicle. FHMBK filed a motion to dismiss the County and District Attorney for failure to state a claim and a motion to dismiss the Assistant District Attorney on the grounds of lack of personal jurisdiction. The court granted the motions to dismiss. About eight months later, Plaintiff filed a motion for leave to file an amended complaint. In the amended complaint, Plaintiff asserted a constitutional claim and an Ohio state law claim against the dismissed Assistant District Attorney. Plaintiff asserted that the court had personal jurisdiction over the Assistant District Attorney and he should be brought back in the case. FHMBK filed a response in opposition to the motion for leave to assert claims against the Assistant District Attorney. The court denied Plaintiff’s motion and the Assistant District Attorney remained dismissed from the case. THOMAS P. BRANDT and JOSHUA SKINNER obtained a victory for a North Texas county and sheriff’s deputy in a federal civil rights case alleging that the deputy violated the Fourth Amendment by conducting an unreasonable search and seizure. The search led to the discovery of a large quantity of money that is subject to a forfeiture action based on the alleged criminal origins of the money. In November, 2014, JOSH KUTCHIN tried an automobile-accident case for Kemper, in Gina Slaughter’s 191st District Court in Dallas. Plaintiff’s counsel had declined to make any pretrial demands or enter into serious negotiations (even at mediation) beyond suggesting that both Defendants should simply tender their applicable policy limits. Following a stipulated-liability trial Plaintiff in fact obtained a judgment in her favor—in an amount corresponding to approximately 50% of what the two defendants had formally offered at mediation. JOHN F. ROEHM III, THOMAS P. BRANDT and LAURA O’LEARY obtained a victory for a North Texas City and one of its officials in a suit alleging federal and state constitutional claims and state law claims. The suit was filed in state court, was removed to federal court and remanded back to state court. The case arose when the City found that Plaintiff’s building was unsafe for human occupancy and notified Plaintiff that he would need to obtain a certificate of occupancy in order to occupy the building. Plaintiff alleged that the City took his property and denied him due process. FHMBK filed traditional and no-evidence motions for summary judgment for the City and its official and filed a motion to dismiss Plaintiff’s state law tort claim against the official. The court granted the motions and dismissed Plaintiff’s case. FHMBK is proud to announce that firm members JOSHUA A. SKINNER and FRANCISCO J. VALENZUELA have been selected to the 2015 Texas Rising Stars list, making this the sixth consecutive year they have been honored among the state’s top young lawyers. Please click here to review the firm’s recent media release for additional information. On November 21, 2014, JOSHUA KUTCHIN presented a seminar in Dallas, Texas, to the Kemper Specialty Group, entitled “Tips for Handling Texas Death Claims”, intended to provide participants with suggestions and recommendations about the most effective way to respond to death claims arising under Texas law, and to provide TDI- approved continuing education credit for those in attendance. 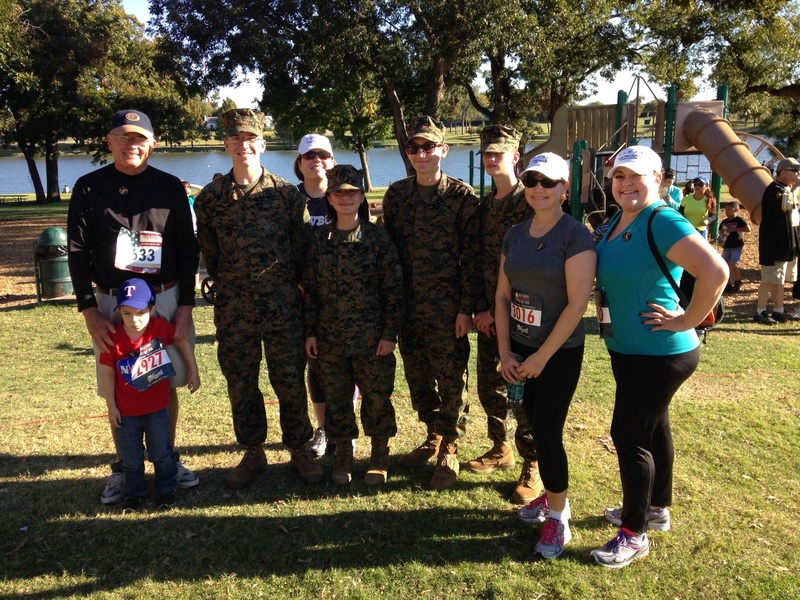 On November 9, 2014, FHMBK attorneys DON MARTINSON, JENNIFER KELLEY, LAURA O’LEARY, and NICHOLE PLAGENS (pictured left) participated in the 3rd Annual National Veterans Day Run in Dallas. 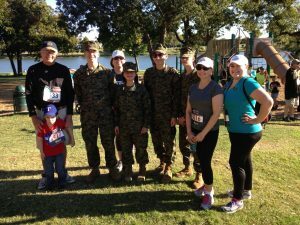 This year’s National Charity Partner was Operation Gratitude which sends 100,000+ care packages to veterans, new recruits, first responders, wounded warriors, care-givers as well as individually named US service members deployed overseas. THOMAS P. BRANDT will be presenting at the Texas Association of School Board’s 2015 Fund Members’ Conference being held in Austin March 29 – 31. He will be speaking on the topic of students’ Free Speech issues. THOMAS P. BRANDT will also be co-presenting at the 2015 County Management & Risk Conference sponsored by Texas Association of Counties being held in Austin, Texas April 8 through April 10. He will be speaking on the importance of having and publishing personnel policies, common mistakes, and errors to avoid.